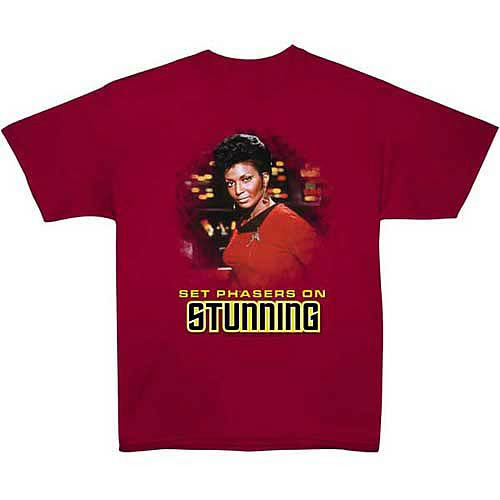 Star Trek Stunning Uhura T-Shirt. For so many reasons, it's always good to have a woman on the bridge. Just look at what Uhura did for the Enterprise! If you don't believe us, just check out this 100% cotton, high quality, pre-shrunk cardinal red t-shirt. Machine washable. Order yours today!